Anna is a perinatal psychologist who supports women and their partners through preconception planning, pregnancy, postpartum, and with children under 3 years of age. She completed her clinical psychology training at the Women’s and Children’s Hospital Perinatal and Infant Mental Health Service, and has worked with adults and children in a variety of settings. Anna has special interests in parent-infant attachment and bonding, perinatal depression and anxiety, and supporting early social and emotional development in infants and toddlers. 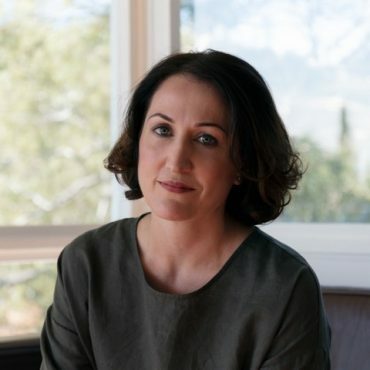 She has also conducted research in the field of perinatal mental health – her Master’s research focused on the experiences of couples during the transition to parenthood, and the importance of supporting the couple relationship during this time. Anna sees people who are experiencing difficulties adjusting to pregnancy or to their new life as parents, as well as those who are parenting with a mental health diagnosis. She assists parents to gain confidence in their new role and helps them negotiate the significant changes that come with new parenthood. Anna also supports parents through grief and loss, premature birth, birth trauma, and with issues that may arise from their own experience of being parented. Anna brings warmth and genuineness to her work, creating a supportive environment to enable clients to navigate the issues that have prompted them to seek help. She works from a relational, attachment-based framework and employs a range of therapeutic approaches tailored to individual needs, including Cognitive Behaviour Therapy, Acceptance and Commitment Therapy, Mindfulness-Based Cognitive Therapy and Interpersonal Therapy. 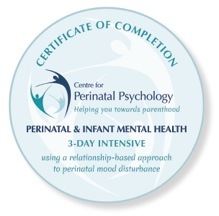 Anna works collaboratively with parents to optimise their emotional wellbeing and their relationship with their baby. She also works closely with other health professionals to provide the best possible care for her clients.